The nucleus of the corporation is the C. Bertelsmann Verlag, a publishing house established in 1835 by Carl Bertelsmann in Gütersloh. Carl Bertelsmann was a representative of the "Minden-Ravensberger Erweckungsbewegung", a Protestant revival movement, whose writings he published. The C. Bertelsmann Verlag, originally specialized in theological literature, expanded its publications to include school and textbooks, and in the 1920s and 1930s increasingly entered into the field of light fiction. During the Third Reich, the publishing house gained a prominent position with its affordable "Bertelsmann Volksausgaben" ("people's editions"). In particular, war adventure books such as Werner von Langsdorff's "Fliegerbuch" on aviation were a commercial success. Heinrich Mohn belonged to the patrons' circle of the paramilitary Schutzstaffel organization and sought to turn his company into a National Socialist model enterprise. During World War II, the C. Bertelsmann Verlag became a leading supplier to the Wehrmacht, even surpassing the central publishing house of the NSDAP Franz Eher. Especially in the years between 1939 and 1941, the revenues of the C. Bertelsmann Verlag skyrocketed. Jewish slave laborers were not forced to work in Gütersloh, but in printing plants in Lithuania with which the C. Bertelsmann Verlag cooperated. In 1944, the Reichsschrifttumskammer (Reich Chamber of Literature) closed the publishing house to "mobilize all powers for victory". Another essential reason for this was criminal paper racketeering by some publisher's employees, which led to a trial in 1944. After the dictatorship of Adolf Hitler and World War II, the company portrayed itself to the Allied Control Authority as a Christian publisher that was part of the resistance to Nazism and allegedly persecuted. Ties to National Socialist organizations were initially denied. After it became known that erroneous, or at least inadequate, statements had been made, Heinrich Mohn stepped down as the head of the publishing house. Reinhard Mohn, one of his three sons, took over the C. Bertelsmann Verlag, as Hans Heinrich Mohn had been killed in the war and Sigbert Mohn was still a prisoner of war. In 1947, the Allies finally granted the company a publishing license. After the currency reform in 1948, there was a market slump in the book trade that also led to the next existential crisis for the C. Bertelsmann Verlag. Under these conditions, in 1950 Bertelsmann launched the Lesering (book club) to stimulate sales. The customers ordered books via subscription, and in return, received discounted prices. The business increasingly shifted from the publishing house to the sale of books, which was decisive to further growth. In 1959, the C. Bertelsmann Verlag was restructured: From that point on, theological literature was published in the Gütersloher Verlagshaus, a new publishing house which was consolidated with the Rufer Verlag. Fiction, poetry and art came under the roof of Sigbert Mohn Verlag. The C. Bertelsmann Verlag focused on nonfiction books, in particular dictionaries, guidebooks, reference books and journals. The 1950s and 1960s, Bertelsmann expanded its activities into new business areas: Thus, 1956, the company entered the music market with the Bertelsmann Schallplattenring (record club). Two years later, Ariola, one of the most successful German record labels was launched, and virtually at the same time, the Sonopress record pressing plant was established. With the Kommissionshaus Buch & Ton (book and audio commissioning company), from which the Vereinigte Verlagsauslieferung (VVA) emerged, Bertelsmann laid the cornerstone for its service business. In 1964, Bertelsmann purchased the already broken-up UFA from the Deutsche Bank and built on its presence in cinema and television. In 1969, Bertelsmann acquired shares in the magazine publisher Gruner + Jahr. A merger with Axel Springer, also planned at the time, for which a loan for millions had been taken out temporarily from Westdeutsche Landesbank, failed in 1970. Starting in 1971, Bertelsmann operated as a joint-stock company ("Aktiengesellschaft" or "AG"), becoming Bertelsmann AG. The increasingly diversifying book publishers were bundled in the Verlagsgruppe Bertelsmann publishing group at the end of the 1960s. In 1972, this company moved from Gütersloh to Munich. Key divisions remained in Gütersloh, for which a new office building was built in 1976 at the Group's official location. To this day, it has remained the Bertelsmann headquarters, referred to as the Bertelsmann Corporate Center. The rapid growth of Bertelsmann led to structural and financial problems. In the 1970s, financing requirements reached their peak. From 1975 to 1980, for example, the return on sales fell below one percent. Bertelsmann also encountered new regulatory rules in its home market, in particular through laws governing mergers. Larger acquisitions became practically impossible. At the same time, there was an increasing saturation of the German market for the Bertelsmann Lesering, whereas the foreign book clubs earned the lion's share of revenues in this corporate division. The internationalization of Bertelsmann, initiated in the 1960s, was taken further: Among other things, Bertelsmann acquired shares in the publishing houses Plaza & Janés based in Barcelona and Bantam Books from New York City. In the United States, a location was established for Ariola and Arista Records was acquired. In the period of the 1979–1980 recession, there was discussion concerning the succession of Reinhard Mohn. In 1981, he finally moved over to the supervisory board. Manfred Fischer, who had previously headed up management of Gruner + Jahr, became the new chairman and chief executive officer. With this move, Bertelsmann, for the first time, was led by a manager who was not a member of the owner family. Mark Wössner became Fischer's successor as chairman and chief executive officer of Bertelsmann in 1983. The affair concerning the forged Hitler diaries occurred at the beginning of his tenure, which damaged the reputation of Gruner + Jahr and Bertelsmann as a whole. Mark Wössner brought the subsidiaries closer to headquarters in Gütersloh. In particular, this involved business development and controlling. Under the leadership of Mark Wössner, Bertelsmann also took a stake in RTL plus, the first private TV broadcaster in Germany. In 1986, Bertelsmann acquired a majority in RCA Records and merged its activities in the music market with the new Bertelsmann Music Group. Sonopress, a company established in 1958 to manufacture records, was not part of the Bertelsmann Music Group, rather it was assigned to the print and industrial division. With Doubleday, another well-known publishing house was acquired. As a result, the Group ascended to become a well-known international company, and Bertelsmann was temporarily the world's largest media group. In the financial year of 1990/1991, Bertelsmann had over 45,000 employees and reached sales of 14.5 billion Deutsche Mark annually. 63% involved business outside of Germany, and the United States was the most important foreign market. After the German reunification and the end of the Cold War, Bertelsmann also expanded to East Germany, as well as into Central and Eastern Europe. For example, in 1989 the first branch outlet of the Club Bertelsmann opened in Dresden. The later development of Bertelsmann in the 1990s was marked by the spread of the Internet as a mass medium, as well as changes to the ownership structure. In 1993, Reinhard Mohn transferred the majority of capital shares to the Bertelsmann Stiftung and assumed its chairmanship. The foundation itself was financed by profits of the company. In 1994, Gruner + Jahr acquired the magazines of The New York Times, whereby Bertelsmann was once again able to expand its presence in foreign markets. From 1995, there was a new business division of multimedia at Bertelsmann. Its centerpiece was AOL Europe, a joint venture of America Online and Bertelsmann. Prior to that, Bertelsmann had already acquired a direct share in America Online. The multimedia division also included mediaWays and Pixelpark. In 1997, UFA merged with Compagnie Luxembourgeoise de Télédiffusion (CLT) to become a joint entertainment group based in Luxembourg. With CLT-UFA, Bertelsmann was able to decisively diversify its business. In 1998, Thomas Middelhoff succeeded Mark Wössner as Bertelsmann Chairman and Chief Executive Officer. Thomas Middelhoff had previously already been a member of the management board of the multimedia division. Mark Wössner joined the supervisory board of the company and also became Chairman of the Bertelsmann Stiftung. This management change coincided with the takeover of Random House. With this, the group advanced to become the largest publishing group in the English-speaking world. Random House was merged with Bantam Doubleday Dell, and the global headquarters of all Bertelsmann publishing houses were relocated to New York City. In 1999, Bertelsmann acquired the publisher Springer science media, which, among other things, was the market leader for mathematics and physics. In the year 2000, Bertelsmann dissolved its joint venture with AOL Europe. The sale of the shares in the joint venture to America Online yielded billions to Bertelsmann. In the same year, Bertelsmann and Pearson formed the RTL Group from their TV subsidiaries. Bertelsmann initially owned a minority in the company, and gradually built up its share. Later, Bertelsmann secured the majority of the shares in RTL through a share swap with the Groupe Bruxelles Lambert (GBL), which as a result owned 25.1% of Bertelsmann. Under the leadership of Thomas Middelhoff, Bertelsmann increased its involvement in the Internet, whereby above all the investment in Napster received major media attention. The aim of the acquisition, among other things, was to stem the illegal spread of copyrighted material. In 2001, the service nonetheless had to be shut down due to legal disputes. Bertelsmann faced several claims for damages by the music industry. 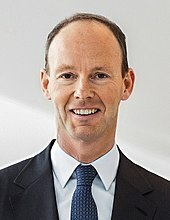 In order to finance additional growth of Bertelsmann, Thomas Middelhoff raised the idea of going public, which led to fundamental disagreement with the Mohn family. In 2002, Gunter Thielen became the new Chairman and Chief Executive Officer of Bertelsmann, and some members of the media viewed the change critically. A consolidation phase followed, in order to solve the problems with the core business. For example, Bertelsmann sold unprofitable e-commerce firms like the online shop of Barnes & Noble, among others. Gruner + Jahr sold the Berliner Zeitung, and the scientific publisher, BertelsmannSpringer, was spun off. In the 2003 financial year, Bertelsmann announced that it was investing its music business in a joint venture with Sony. Bertelsmann and Sony each owned half the shares. With this transaction, the stakeholders sought to respond to declining sales in the music market. In addition, Gunter Thielen initiated the buyback of the shares from Groupe Bruxelles Lambert, so that the Mohn family regained complete control of Bertelsmann from 2006. This measure was also financed with the sale of the music rights business to Vivendi. During the tenure of Gunter Thielen, the number of employees at Bertelsmann exceeded 100,000 for the first time. In 2008, Hartmut Ostrowski was appointed Chairman and Chief Executive Officer. Bertelsmann sold its shares of the record label Sony BMG, and since then the company has operated under the name of Sony Music Entertainment. In 2008, Bertelsmann acquired the rights to the Brockhaus Encyclopedia, and from that time on, this reference work was published by the Wissen Media Verlag. At the end of 2011, Hartmut Ostrowski suddenly announced that he was leaving Bertelsmann for unspecified personal reasons. In 2012, Bertelsmann went from being an AG to its current incorporation as a partnership limited by shares ("Kommanditgesellschaft auf Aktien" or "KGaA"), with the general partner being a European stock corporation ("Societas Europaea" or "SE"). Also, since 2012, Thomas Rabe has been Chairman and Chief Executive Officer of Bertelsmann. In 2013, Bertelsmann floated part of its shares in the RTL Group on the stock exchange, in order to finance additional growth from the proceeds of the sale. In the year 2013, Penguin Random House became the world's largest publishing company. Gruner + Jahr was taken over completely by Bertelsmann in 2014. Furthermore, under the leadership of Thomas Rabe, Bertelsmann increasingly invested in the education sector: In 2014, for example, Relias Learning was acquired. The company belongs to the Bertelsmann Education Group, established in 2015. The Club Bertelsmann was wound up, and individual distribution partners are taking legal action against it. In 2016, the printing business was bundled in the Bertelsmann Printing Group. Bertelsmann is a decentralized organization. This means that the divisions largely work independently. The holding handles central tasks, in the field of corporate finance, for example. In 2016, Bertelsmann introduced a new structure of eight divisions: RTL Group (television and radio), Penguin Random House (book publishing), Gruner + Jahr (magazines), BMG (music rights), Arvato (services), Bertelsmann Education Group (education), Bertelsmann Printing Group (printing) and Bertelsmann Investments (investments). The RTL Group is one of the leading European entertainment providers, based in Luxembourg. The company runs a commercial private television and radio channels in several countries, including RTL and VOX in Germany. In 2015, with the RTL Digital Hub, the company launched a dedicated unit for web videos. In addition, production companies, such as FremantleMedia, are part of the RTL Group. In January 1997, Bertelsmann merged the UFA film and television company with Compagnie Luxembourgeoise de Télédiffusion (CLT). The merger of CLT-UFA with Pearson TV in the year 2000 marked the beginning of the RTL Group. The company is listed on the stock exchange and has been majority-owned by Bertelsmann since 2001. Following the sale of shares in 2013, the stake is 75.1%. In 2018, sales of the RTL Group were €6.505 billion. Penguin Random House is the world's largest book publishing company. The company was created in 2013 through the merger of the publishing businesses of Bertelsmann and Pearson. With the acquisition of Random House in 1998, Bertelsmann already became the largest book publisher in the English-speaking world. 250 publishing houses on five continents are part of the company, including Random House and Penguin Books, but also Doubleday, Knopf and Viking. The German Verlagsgruppe Random House (Goldmann, Heyne and others), based in Munich, is not part of Penguin Random House, yet it does belong to the same division at Bertelsmann. Penguin Random House has its main headquarters in the Penguin Random House Tower in New York City. Bertelsmann currently has a 53% stake in the company. In 2018, the company achieved sales of €3.424 billion. Gruner + Jahr is an internationally operating magazine publisher based in Hamburg. Its publications include Brigitte, Geo and Stern, and the company also has a majority stake in Motor Presse Stuttgart and Dresdner Druck- und Verlagshaus. In 2015, Gruner + Jahr had a presence in 20 countries. The businesses in the United States have been sold in the meantime, and in terms of revenue, Germany and France are the most important markets. Bertelsmann has had a stake in Gruner + Jahr since 1969. Bertelsmann gradually purchased shares from Richard Gruner, Gerd Bucerius and John Jahr. In 1976, Bertelsmann held 74.9% of Gruner + Jahr. In 2014, Bertelsmann took over the company completely. In 2018, sales of Gruner + Jahr totaled €1.440 billion. BMG is a music publishing company based in Berlin. The BMG catalog encompasses rights to works by artists such as Céline Dion, Jennifer Lopez, Ronan Keating and Britney Spears. In 2008, the company was created after the group divested from the music market. Following the sale of Sony BMG, Bertelsmann had retained the rights to 200, mainly European, artists. In 2009, Kohlberg Kravis Roberts came on board with BMG, retaining a 51% majority in the company, and Bertelsmann held 49%. Since 2013, BMG has once again become a fully owned subsidiary of Bertelsmann. In 2016, BMG became a division of Bertelsmann. In 2018, BMG had revenues of €545 million. Arvato is an international service provider. In its current form, the company originated in the year 1999. At that time, the print and industry sectors at Bertelsmann were restructured, whereby services received a higher priority than the print and machinery sector back then. Since the 1950s, Bertelsmann has been an active service provider, delivering books for other publishing companies, for example. To this day, Vereinigte Verlagsauslieferung (VVA) has belonged to Arvato. What's more, today Arvato offers services, for example, in the areas of Customer Relationship Management (CRM), Supply Chain Management (SCM) and finance, as well as information technology. The main headquarters of Arvato is Gütersloh, and additional locations exist in 22 countries, including China and the United States. In 2018, sales of Arvato reached a volume of €4.100 billion. In January 2016, Bertelsmann bundled its printing activities in digital, offset and gravure in the Bertelsmann Printing Group. It is Europe's largest player in the industry. The corporate group is located in Gütersloh. Bertelsmann Printing Group includes not only GGP Media, Mohn Media, Prinovis, Sonopress, Vogel Druck and several other companies, but also Be Printers. Be Printers is in turn a spin-off of Arvato, created in 2012, in order to consolidate the group's printing business. The business has been under pressure for years due to declining print editions. In 2018, the Bertelsmann Printing Group achieved sales of €1.639 billion. The Bertelsmann Education Group is dedicated to the education sector. It was established in 2015 and has its headquarters in New York City. It includes, for example, the Alliant International University and Relias Learning. The acquisition of Relias Learning in 2014 formed the cornerstone for the Bertelsmann Education Group and was the largest acquisition by Bertelsmann since the purchase of Random House. In 2017, the Bertelsmann Education Group generated sales of €189 million. The Bertelsmann Investments division bundles Bertelsmann's startup investments. The main focus is on Brazil, China, India, Europe and the United States. Bertelsmann Digital Media Investments is based in Gütersloh and since 2014 has concentrated mainly on the United States. With Bertelsmann Asia Investments, Bertelsmann Brazil Investments and Bertelsmann India Investments, three additional funds exist that are active in the growth regions defined by the holding. Bertelsmann Investments holds equity positions in a total of over 100 startup companies, almost all from the digital economy. From 1971 to 2012, Bertelsmann was a joint stock company under German law (Aktiengesellschaft). Subsequently, the company was transformed into a partnership limited by shares (Kommanditgesellschaft auf Aktien). The general partner is a European stock corporation (Societas Europaea). Bertelsmann's rationale for this move, among others, was the aim of opening up for investors, thus enabling them to participate in the financing of additional growth. The media commented the change of the legal structure "the turn of an era", as it essentially also enables the company to go public. This move was not ultimately implemented, however. Today, Bertelsmann is a company active in capital markets, issuing bonds, for example. Since 2001, the company has prepared its financial statements according to International Financial Reporting Standards. The new legal entity does not change any of the ownership of Bertelsmann. As early as the 1970s and 1980s, the Mohn family built up the Bertelsmann Stiftung, which has owned the majority of shares in Bertelsmann since 1993. In addition to social responsibility, tax considerations played a role in this. Moreover, this strategy was intended to preserve the continuity of the company. Today, according to Bertelsmann, the Mohn family holds 19.1% of the shares. The three foundations, Bertelsmann Stiftung, Reinhard Mohn Stiftung and BVG Stiftung, together own 80.9%. The Bertelsmann Verwaltungsgesellschaft mbH (BVG) has key influence on the whole group: It bundles all the voting rights of the Mohn family and foundations with ownership shares. Together, they own 100 percent in the general assemblies of the group company (Bertelsmann SE & Co. KGaA) and its general partner (Bertelsmann Management SE). Bertelsmann SE & Co. KGaA is managed by the Bertelsmann Management SE. The Chairman of the executive board of Bertelsmann Management SE is Thomas Rabe. Other members of the executive board include Markus Dohle, Immanuel Hermreck, Bernd Hirsch and Anke Schäferkordt. In 2012, Bertelsmann created the additional so-called Group Management Committee, in order to advise the executive board in important matters. Some members of the media noted that a relatively large number of women have been appointed to the Group Management Committee. Bertelsmann SE & Co. KGaA and Bertelsmann Management SE each have a supervisory board that oversees the management. In 2013, Christoph Mohn assumed the chairmanship of both bodies. From the family, Liz Mohn and Brigitte Mohn are also members of the supervisory boards of both companies. Since the 1970s, the Bertelsmann headquarters have been in the Gütersloh district of Avenwedde, and its layout encompasses some 26,100 square meters. The office buildings were erected in 1976 and expanded in 1990. In addition to the typical facilities, the headquarters in Gütersloh also feature the Bertelsmann University, an academic institution for Bertelsmann executives. 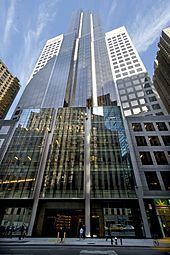 In 1992, Bertelsmann purchased the Bertelsmann Building in New York City and located its North American headquarters there. The building was re-sold in 2004. The Berlin representative office was opened in 2003 in the Kommandantenhaus in the historic center of Berlin. As part of international activities, Bertelsmann established additional locations at the corporate level (Corporate Centers) in Beijing (2006), New Delhi (2012) and São Paulo (2012). Worldwide, with all divisions, Bertelsmann has almost 350 locations. The majority are in Europe, where the Group earns the largest share of its revenues. Over the past years, the Group has increasingly focused on the newly industrialized nations of Brazil, China and India. In Brazil, efforts have been aimed at expanding activities above all in the field of education. Bertelsmann has already been involved in China since 1992, and today all divisions are represented there. In India, Bertelsmann is focused on growth in the e-commerce sector, among others. In the 1990s, critical questions arose as to the role of Bertelsmann in the Third Reich. It was precipitated by a speech given by the Chairman and Chief Executive Officer Thomas Middelhoff, on the occasion of his receiving the Vernon A. Walters Award 1998 in New York City. Thomas Middelhoff portrayed Bertelsmann as one of the few non-Jewish media companies shut down by the National Socialists because it allegedly published subversive literature. This interpretation was severely criticized, for example, by publicist Hersch Fischler. The speech led to a broad public debate and ultimately in 1998 to the establishment of an independent historical commission (IHC) by the group. This was headed by Saul Friedländer, and additional members were Norbert Frei, Trutz Rendtorff and Reinhard Wittmann. The IHC presented an interim report in the year 2000 and issued a final report in 2002. It stated, for example, that the suggestion that the C. Bertelsmann Verlag mounted resistance against National Socialism was clearly not accurate. The company's "shut-down as a publisher of the resistance" could not be proven. Historian Volker Ullrich proclaimed in the weekly Die Zeit that the notion of the company's being "a resistance publisher" was clearly baseless. The files of the IHC have been publicly available in the company archives of Bertelsmann in Gütersloh since 2003. In October 2002 the Bertelsmann conglomerate publicly expressed regret for its "conduct under the Nazis, and for later efforts to cover it up". ^ "Bertelsmann erinnert sich". Neue Westfälische (in German). 2 July 2015. p. 11. ^ Henry Mance; Jeevan Vasagar (27 April 2014). "Thomas Rabe, Bertelsmann CEO: from punk rock to family values". Financial Times. Retrieved 19 May 2016. ^ Christian Müssgens (30 August 2012). "Ein Familienwächter für Bertelsmann". Frankfurter Allgemeine Zeitung (in German). Retrieved 19 May 2016. ^ Ulrika Facht (15 June 2015). "The World's Largest Media Corporations, 2015". Nordic Information Centre for Media and Communication Research. Retrieved 19 May 2016. ^ Henrik Mortsiefer (22 March 2016). "Bertelsmann stellt sich breiter auf". Der Tagesspiegel (in German). Retrieved 19 May 2016. ^ Stephan Grimm (30 August 2012). "Bertelsmann druckt erstes Buch". Neue Westfälische (in German). ^ Thorsten Gödecker (1 July 2010). "Geschichte mit Zukunft". Neue Westfälische (in German). ^ "Capital Market Orientation". Investor Relations. Bertelsmann. Retrieved 19 May 2016. ^ "Medienmonarchie aus Gütersloh". Handelsblatt (in German). 30 January 2011. Retrieved 19 May 2016. ^ "Es bleibt in der Familie". Wiener Zeitung (in German). 12 October 2011. p. 19. ^ Kai-Hinrich Renner (23 March 2016). "Bertelsmann sortiert sich neu". Handelsblatt (in German). p. 24. ^ 175 Years of Bertelsmann: The Legacy for Our Future. Munich: C. Bertelsmann. 2010. p. 12. ISBN 978-3-570-10175-9. ^ "Singen zu Gottes Ehre und eigener Freude". Westfalen-Blatt (in German). 1 July 2010. ^ Thomas Lehning (2004). Das Medienhaus: Geschichte und Gegenwart des Bertelsmann-Konzerns (in German). Paderborn, Munich: Fink. p. 27. ISBN 3-7705-4035-2. ^ Norbert Frei; Saul Friedländer; Trutz Rendtorff; Reinhard Wittmann (2002). Bertelsmann im Dritten Reich (in German). Munich: Bertelsmann. p. 157. ISBN 3-570-00711-1. ^ Thomas Lehning (2004). Das Medienhaus: Geschichte und Gegenwart des Bertelsmann-Konzerns (in German). Paderborn, Munich: Fink. p. 28. ISBN 3-7705-4035-2. ^ Norbert Frei; Saul Friedländer; Trutz Rendtorff; Reinhard Wittmann (2002). Bertelsmann im Dritten Reich (in German). Munich: Bertelsmann. p. 347. ISBN 3-570-00711-1. ^ "Bertelsmann größter NS-Lieferant". Saarbrücker Zeitung (in German). 18 January 2000. ^ Norbert Frei; Saul Friedländer; Trutz Rendtorff; Reinhard Wittmann (2002). Bertelsmann im Dritten Reich (in German). Munich: Bertelsmann. p. 423. ISBN 3-570-00711-1. ^ Thomas Lehning (2004). Das Medienhaus: Geschichte und Gegenwart des Bertelsmann-Konzerns (in German). Paderborn, Munich: Fink. p. 30. ISBN 3-7705-4035-2. ^ "Bertelsmann im NS-Staat". Neue Zürcher Zeitung (in German). 9 October 2002. p. 54. ^ "Literaturnobelpreis am Donnerstag". Der Standard (in German). 9 October 2002. p. 26. ^ Norbert Frei; Saul Friedländer; Trutz Rendtorff; Reinhard Wittmann (2002). Bertelsmann im Dritten Reich (in German). Munich: Bertelsmann. pp. 503–503. ISBN 3-570-00711-1. ^ "Bücher im Dienst der Kriegspropaganda". Berliner Zeitung (in German). 8 October 2002. p. 14. ^ "Bertelsmann-Chef zeigt Reue". Handelsblatt (in German). 8 October 2002. p. 18. ^ Thomas Schuler (31 October 2008). "Die Gabe des Vergessens". Neue Zürcher Zeitung (in German). p. 63. ^ 175 Years of Bertelsmann: The Legacy for Our Future. Munich: C. Bertelsmann. 2010. p. 22. ISBN 978-3-570-10175-9. ^ Thomas Lehning (2004). Das Medienhaus: Geschichte und Gegenwart des Bertelsmann-Konzerns (in German). Paderborn, Munich: Fink. p. 33. ISBN 3-7705-4035-2. ^ Thomas Lehning (2004). Das Medienhaus: Geschichte und Gegenwart des Bertelsmann-Konzerns (in German). Paderborn, Munich: Fink. p. 34. ISBN 3-7705-4035-2. ^ 175 Years of Bertelsmann: The Legacy for Our Future. Munich: C. Bertelsmann. 2010. p. 135. ISBN 978-3-570-10175-9. ^ Günther Bähr (14 August 2015). "Das allerletzte Kapitel". Focus (in German). pp. 96–97. ^ Erich Reimann (25 August 2015). "Letztes Kapitel vor Gericht". Wiesbadener Kurier (in German). ^ Volker Ackermann; Torsten Groth; Markus Plate; Arist von Schlippe (2011). Große deutsche Familienunternehmen: Generationenfolge, Familienstrategie und Unternehmensentwicklung (in German). Göttingen: Vandenhoeck & Ruprecht. p. 82. ISBN 978-3-525-40338-9. ^ Thomas Lehning (2004). Das Medienhaus: Geschichte und Gegenwart des Bertelsmann-Konzerns (in German). Paderborn, Munich: Fink. p. 87. ISBN 3-7705-4035-2. ^ "Bertelsmann wird heute 175 Jahre alt (1950–1960)". Westfalen-Blatt (in German). 1 July 2010. ^ "Superstar und Freund der Mohns". Neue Westfälische (in German). 23 December 2014. p. 3. ^ Jan Philip Holtman (2008). Pfadabhängigkeit strategischer Entscheidungen: Eine Fallstudie am Beispiel des Bertelsmann-Buchclubs Deutschland (in German). Cologne: Kölner Wiss. p. 126. ISBN 3-937404-57-0. Retrieved 1 October 2015. ^ "Klappe zu". Der Spiegel (in German). 15 January 1964. ^ "Bertelsmann wird heute 175 Jahre alt (1960–1970)". Westfalen-Blatt (in German). 1 July 2010. ^ "Freundlicher Moloch". Der Spiegel (in German). 9 March 1970. ^ 175 Years of Bertelsmann: The Legacy for Our Future. Munich: C. Bertelsmann. 2010. p. 36. ISBN 978-3-570-10175-9. ^ 175 Years of Bertelsmann: The Legacy for Our Future. Munich: C. Bertelsmann. 2010. p. 37. ISBN 978-3-570-10175-9. ^ Thomas Lehning (2004). Das Medienhaus: Geschichte und Gegenwart des Bertelsmann-Konzerns (in German). Paderborn, Munich: Fink. p. 88. ISBN 3-7705-4035-2. ^ Thomas Lehning (2004). Das Medienhaus: Geschichte und Gegenwart des Bertelsmann-Konzerns (in German). Paderborn, Munich: Fink. p. 91. ISBN 3-7705-4035-2. ^ "Gütersloh Head Office Moves to New Premises". Chronicle. Bertelsmann. Retrieved 20 May 2016. ^ 175 Years of Bertelsmann: The Legacy for Our Future. Munich: C. Bertelsmann. 2010. p. 43. ISBN 978-3-570-10175-9. ^ 175 Years of Bertelsmann: The Legacy for Our Future. Munich: C. Bertelsmann. 2010. p. 40. ISBN 978-3-570-10175-9. ^ Thomas Lehning (2004). Das Medienhaus: Geschichte und Gegenwart des Bertelsmann-Konzerns (in German). Paderborn, Munich: Fink. p. 56. ISBN 3-7705-4035-2. ^ Thomas Lehning (2004). Das Medienhaus: Geschichte und Gegenwart des Bertelsmann-Konzerns (in German). Paderborn, Munich: Fink. p. 57. ISBN 3-7705-4035-2. ^ Christine Hierl (2007). Medienkonzentration und die Internationalisierung deutscher Medienkonzerne am Beispiel der Bertelsmann AG (in German). München: GRIN Verlag. ISBN 978-3-638-60658-5. ^ "Chronologie: Die Bertelsmann-Geschichte". Frankfurter Allgemeine Zeitung (in German). 29 July 2002. Retrieved 20 May 2016. ^ Kenneth T. Jackson; Lisa Keller; Nancy Flood, eds. (2010). The Encyclopedia of New York City (2nd ed.). Yale University Press. ^ Reinhard Mohn (2008). Erfolg durch Menschlichkeit und Freiheit (in German). Munich: C. Bertelsmann. ISBN 978-3-570-01110-2. ^ 175 Years of Bertelsmann: The Legacy for Our Future. Munich: C. Bertelsmann. 2010. pp. 44–45. ISBN 978-3-570-10175-9. ^ "Top-Manager Manfred Fischer ist tot". Manager Magazin (in German). 15 April 2002. Retrieved 20 May 2016. ^ Heinz-Günter Kemmer (13 February 1981). "Rückzug an die Spitze". Die Zeit (in German). Retrieved 20 November 2015. ^ "Im Zweifel selbst". Der Spiegel (in German). 29 November 1982. Retrieved 20 May 2016. ^ "Die Kehrseite". Der Spiegel (in German). 30 May 1983. Retrieved 20 May 2016. ^ Gunhild Freese; Richard Gaul (8 July 1983). "Kopflos in die Krise". Die Zeit (in German). Retrieved 20 November 2015. ^ Jean-Marc Göttert (2013). Die Bertelsmann Methode (in German). Munich: Redline. p. 85. ISBN 978-3-86414-393-9. ^ Thomas Lehning (2004). Das Medienhaus: Geschichte und Gegenwart des Bertelsmann-Konzerns (in German). Paderborn, Munich: Fink. p. 109. ISBN 3-7705-4035-2. ^ 175 Years of Bertelsmann: The Legacy for Our Future. Munich: C. Bertelsmann. 2010. p. 46. ISBN 978-3-570-10175-9. ^ "Bertelsmann wird heute 175 Jahre alt (1980–1990)". Westfalen-Blatt (in German). 1 July 2010. ^ 175 Years of Bertelsmann: The Legacy for Our Future. Munich: C. Bertelsmann. 2010. p. 48. ISBN 978-3-570-10175-9. ^ Ludger Osterkamp (6 January 2016). "Sonopress kehrt zu seinem Namen zurück". Neue Westfälische (in German). Retrieved 29 March 2016. ^ "Chronik: Das rasante Wachstum des Bertelsmann-Verlags". Spiegel Online (in German). 4 October 2009. Retrieved 20 November 2015. ^ a b "Bertelsmann SE & Co. KGaA". Media Data Base. Institute for Media and Communication Policy. 11 May 2016. Retrieved 20 May 2016. ^ 175 Years of Bertelsmann: The Legacy for Our Future. Munich: C. Bertelsmann. 2010. p. 53. ISBN 978-3-570-10175-9. ^ "Lots of Action on the Eastern Front". Chronicle. Bertelsmann. Retrieved 20 May 2016. ^ 175 Years of Bertelsmann: The Legacy for Our Future. Munich: C. Bertelsmann. 2010. p. 55. ISBN 978-3-570-10175-9. ^ 175 Years of Bertelsmann: The Legacy for Our Future. Munich: C. Bertelsmann. 2010. p. 54. ISBN 978-3-570-10175-9. ^ Bertelsmann wird heute 175 Jahre alt (1990–2000). Westfalen-Blatt (in German). 1 July 2010. ^ Jean-Marc Göttert (11 January 2002). "Die reichsten Deutschen: Der asketische Revolutionär". Spiegel Online (in German). Retrieved 20 November 2015. ^ Thomas Lehning (2004). Das Medienhaus: Geschichte und Gegenwart des Bertelsmann-Konzerns (in German). Paderborn, Munich: Fink. p. 274. ISBN 3-7705-4035-2. ^ "Minderheitsbeteiligung und Joint-venture beschlossen". ComputerWoche (in German). International Data Group. 10 March 1995. Retrieved 20 May 2016. ^ Andreas Donath (10 January 2000). "Bertelsmann: Kein Groll wegen Time Warner + AOL". Golem (in German). Retrieved 20 November 2015. ^ "Bertelsmann And America Online Announce Launch Of Strategic Global Alliance And Plan To Restructure Joint Ventures". StreamingMedia. 17 March 2000. Retrieved 20 May 2016. ^ Ingrid Scheithauer (27 September 1996). "Die gesamte Wertschöpfungskette besetzen". Frankfurter Rundschau (in German). p. 11. ^ "Teuflisch intelligent". Der Spiegel (in German). 8 April 1996. ^ Gunhild Freese (12 April 1996). "Die Weichen für das TV-Geschäft der Zukunft sind gestellt". Die Zeit (in German). ^ "Neue Chefs". Der Spiegel (in German). 23 June 1997. ^ "Bertelsmann will mit Multimedia Milliarden umsetzen". Die Welt (in German). 27 February 1996. Retrieved 29 March 2016. ^ "Personalien: Wachwechsel bei Bertelsmann". Börsen-Zeitung (in German). 5 July 1997. p. 15. ^ Oliver Herrgesell (24 March 1998). "Bertelsmann kauft die US-Verlagsgruppe Random House" (in German). Retrieved 20 November 2015. ^ "Bertelsmann buys Random". CNN Money. 23 March 1998. Retrieved 20 May 2016. ^ Warren St. John (30 March 1998). "So Why Did Newhouse Sell Random House to Bertelsmann Boys?". New York Observer. Retrieved 20 May 2016. ^ Florian Rötzer (23 March 1998). "Bertelsmann kauft Random House". heise online (in German). Retrieved 22 November 2015. ^ 175 Years of Bertelsmann: The Legacy for Our Future. Munich: C. Bertelsmann. 2010. p. 58. ISBN 978-3-570-10175-9. ^ Thomas Lehning (2004). Das Medienhaus: Geschichte und Gegenwart des Bertelsmann-Konzerns (in German). Paderborn, Munich: Fink. p. 121. ISBN 3-7705-4035-2. ^ "Bertelsmann will sich Springer einverleiben". Darmstädter Echo (in German). 17 November 1998. ^ "Bertelsmann erwirbt Wissenschaftsverlag". Sächsische Zeitung (in German). 17 February 1999. p. 20. ^ Christian Rabanus (17 March 2000). "Bertelsmann steigt bei AOL Europe aus". heise online (in German). Retrieved 20 November 2015. ^ Andrew Ross Sorkin (18 March 2000). "Bertelsmann to Sell Its Stake In Joint Ventures to AOL". The New York Times. Retrieved 20 May 2016. ^ "Bertelsmann wird führender TV-Sender". Süddeutsche Zeitung (in German). 8 April 2000. p. 25. ^ 175 Years of Bertelsmann: The Legacy for Our Future. Munich: C. Bertelsmann. 2010. p. 57. ISBN 978-3-570-10175-9. ^ Dan Milmo (5 February 2001). "Bertelsmann ups RTL stake". The Guardian. Retrieved 20 May 2016. ^ Cecilie Rohwedder (6 February 2001). "Bertelsmann Acquires Control of RTL Through Share Swap for GBL's Stake". The Wall Street Journal. Retrieved 20 May 2016. ^ "Thomas Middelhoff: the rise and fall of a dotcom evangelist". Financial Times. 21 November 2014. Retrieved 20 May 2016. ^ Ludger Fertmann (29 June 1999). "Middelhoff schwört Führung aufs Internet ein". Die Welt (in German). p. 25. ^ "Klage fallen gelassen: Bertelsmann kauft sich bei Napster ein". Spiegel Online (in German). 31 October 2000. Retrieved 18 November 2015. 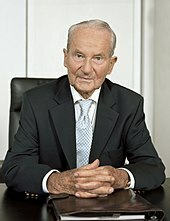 ^ Goetz Hamann (2 November 2000). "Napster ist geschnappt". Die Zeit (in German). Retrieved 20 November 2015. ^ Nick Wingfield (20 May 2002). "Bertelsmann to Buy Napster, Hopes to Boost Music Service". The Wall Street Journal. Retrieved 20 May 2016. ^ "Napster: Das letzte Gericht". Frankfurter Allgemeine Zeitung (in German). 2 March 2001. Retrieved 20 November 2015. ^ 175 Years of Bertelsmann: The Legacy for Our Future. Munich: C. Bertelsmann. 2010. p. 66. ISBN 978-3-570-10175-9. ^ Tim Gerber (26 July 2003). "Verfassungsgericht schützt Bertelsmann vorerst vor Napster-Klage". heise online (in German). Retrieved 16 November 2015. ^ "Streit um Napster belastet Netto-Gewinn". Frankfurter Allgemeine Zeitung. 14 November 2007. Retrieved 17 November 2015. ^ "Bertelsmann muss an die Börse". Spiegel Online (in German). 2 August 2002. Retrieved 10 November 2015. ^ 175 Years of Bertelsmann: The Legacy for Our Future. Munich: C. Bertelsmann. 2010. p. 68. ISBN 978-3-570-10175-9. ^ "Bertelsmann-Chef muss gehen". Handelsblatt (in German). 29 July 2002. p. 1. ^ "Bertelsmann: Sieg der alten Garde". Spiegel Online. 29 July 2002. Retrieved 17 November 2015. ^ Thomas Schulz; Thomas Tuma (24 November 2003). "Westfälischer Unfrieden". Der Spiegel (in German). ^ "Thielen zieht die Bremse". Manager Magazine (in German). 30 July 2002. Retrieved 24 November 2015. ^ "Bertelsmann wird heute 175 Jahre alt (2000–2009)". Westfalen-Blatt (in German). 1 July 2010. ^ 175 Years of Bertelsmann: The Legacy for Our Future. Munich: C. Bertelsmann. 2010. p. 72. ISBN 978-3-570-10175-9. ^ Alexandra Knape (26 June 2002). "Berliner Verlag wird verkauft". Manager Magazine (in German). Retrieved 23 November 2015. ^ Andrew Ross Sorkin (13 May 2003). "Bertelsmann Agrees to Sell Its Science and Trade Unit". The New York Times. Retrieved 21 May 2016. ^ "Bertelsmann verkauft Bertelsmann-Springer an Cinven und Candover". Horizont (in German). 13 May 2003. Retrieved 19 November 2015. ^ "Sony, BMG agree on music merger". CNN International. 7 November 2003. Retrieved 21 May 2016. ^ Tony Smith (7 November 2003). "Sony, Bertelsmann agree to merge music labels". The Register. Retrieved 21 May 2016. ^ Boi Feddern (6 November 2003). "Bertelsmann und Sony planen gemeinsames Musikunternehmen". heise online (in German). Retrieved 23 November 2015. ^ Arndt Ohler; Birgit Jennen (7 November 2003). "Krise zwingt BMG in Ehe mit Sony". Financial Times (in German). p. 1. ^ Ralf Niemczyk (30 November 2004). "Sony BMG: Schrumpfkur in den Aufschwung". Tages-Anzeiger (in German). p. 53. ^ "Aktien-Rückkauf: Bertelsmann verhindert eigenen Börsengang". Der Tagesspiegel (in German). 25 May 2006. Retrieved 24 November 2015. ^ "Musikverlag BMG geht an Vivendi". Wiener Zeitung (in German). 7 September 2006. p. 26. ^ "Bertelsmann treibt Schuldenabbau voran". Handelsblatt (in German). 28 December 2006. p. 18. ^ "Bertelsmann Sells Music Publishing Unit to Vivendi". Deutsche Welle. 6 September 2006. Retrieved 21 May 2016. ^ 175 Years of Bertelsmann: The Legacy for Our Future. Munich: C. Bertelsmann. 2010. p. 75. ISBN 978-3-570-10175-9. ^ "Neuer Bertelsmannchef Ostrowski: Mehr Innovation, mehr Wachstum, keine Internetprojekte". Spiegel Online (in German). 13 December 2007. Retrieved 24 November 2015. ^ Hans-Peter Siebenhaar (13 December 2007). "Ostrowski als gehemmter Wachstumstreiber". Handelsblatt (in German). Retrieved 24 November 2015. ^ Richard Wray (5 August 2008). "Sony buys Bertelsmann out of Sony BMG". The Guardian. Retrieved 21 May 2016. ^ Gerrit Wiesmann; Andrew Edgecliffe-Johnson (12 June 2008). "Bertelsmann seeks $1.5bn for Sony-BMG stake". Financial Times. Retrieved 21 May 2016. ^ "Bertelsmann überlässt sein Musikgeschäft Sony". Deutsche Welle (in German). 5 August 2008. Retrieved 24 November 2015. ^ Richard Pallardy; Mathias Schindler (3 September 2014). "Brockhaus Enzyklopädie". Encyclopædia Britannica. Retrieved 21 May 2016. ^ "Bertelsmann-Tochter kauft Brockhaus". Manager Magazin (in German). 17 December 2008. Retrieved 19 March 2017. ^ Mark Sweney (10 October 2011). "Bertelsmann chief Hartmut Ostrowski to stand down". The Guardian. Retrieved 21 May 2016. ^ Eric Pfanner (10 October 2011). "Change of Command Set at European Media Group". The New York Times. Retrieved 21 May 2015. ^ Cornelius Rahn (10 October 2011). "Bertelsmann Names Rabe CEO to Succeed Ostrowski in January". Bloomberg. Retrieved 21 May 2016. ^ "Finanzvorstand Rabe löst Konzernchef Ostrowski ab". Süddeutsche Zeitung (in German). 10 October 2011. Retrieved 24 November 2015. ^ "Bertelsmann muss sich bei RTL bescheiden". Börsen-Zeitung (in German). 30 April 2013. p. 9. ^ "RTL Group raises €1.4 billion through secondary IPO". Digital TV Europe. 30 April 2013. Retrieved 21 May 2016. ^ Nancy Tartaglione (26 March 2013). "Bertelsmann Eyes $3.9B In Acquisitions Over Next Three Years, But No IPO". Hollywood Deadline. Retrieved 21 May 2016. ^ "Bertelsmann nimmt 1,4 Milliarden Euro ein". Handelsblatt (in German). 29 April 2013. Retrieved 29 March 2016. ^ "Penguin and Random House complete merger". The Daily Telegraph. 1 July 2013. Retrieved 21 May 2016. ^ "Die Fusion ist besiegelt". Börsenblatt (in German). 1 July 2013. Retrieved 24 November 2015. ^ "Medienkonzern: Bertelsmann übernimmt Gruner + Jahr komplett". Zeit Online (in German). 6 October 2014. Retrieved 1 October 2015. ^ "Bertelsmann schluckt Gruner + Jahr ganz". Manager Magazin (in German). 6 October 2014. Retrieved 1 October 2015. ^ "Bildung als dritte Geschäftssäule". Handelsblatt (in German). 3 June 2015. Retrieved 24 November 2015. ^ Ellen Emmerentze Jervell (21 October 2014). "Bertelsmann To Buy Relias Learning". The Wall Street Journal. Retrieved 21 May 2016. ^ Liana B. Baker; Jörn Poltz (21 October 2014). "Bertelsmann to buy Relias Learning from Vista Equity". Reuters. Retrieved 21 May 2016. ^ "Bertelsmann Education Group bündelt Bildungsgeschäfte". Börsenblatt (in German). 10 September 2015. Retrieved 5 January 2016. ^ "Bis Ende 2015: Bertelsmann schließt seinen Buchclub". Frankfurter Allgemeine Zeitung (in German). 17 June 2014. Retrieved 24 November 2015. ^ Manfred Schneider (18 July 2014). "Vergessen, was man nicht wissen muss – über das Ende der Buchklubs". Neue Zürcher Zeitung (in German). p. 19. ^ "Klage gegen Aus für Bertelsmann-Buchclub". Handelsblatt (in German). 26 August 2014. Retrieved 24 November 2015. ^ Jo Francis (5 November 2015). "Bertelsmann to merge print operations". PrintWeek. Retrieved 21 May 2016. ^ "Bertelsmann Essentials" (PDF). Bertelsmann. Retrieved 21 May 2016. ^ "Bertelsmann ist keine Aktiengesellschaft mehr". Handelsblatt (in German). 21 August 2012. Retrieved 1 October 2015. ^ Wolfgang Spahr (22 March 2016). "Bertelsmann Reports Highest Profit in a Decade, CEO Rabe Talks China Strategy and Music Investment Numbers". Billboard. Retrieved 21 May 2016. ^ "The new Bertelsmann" (PDF). Bertelsmann. pp. 16–17. Retrieved 29 March 2016. ^ "Gelingt der digitale Umbruch?". Handelsblatt (in German). 3 September 2015. p. 36. ^ "Companies (Selection)" (PDF). RTL Group. Retrieved 1 October 2015. ^ Hans-Peter Siebenhaar (14 September 2015). "Der Medien-Kommissar: Die Börsenwette namens RTL". Handelsblatt (in German). Retrieved 1 October 2015. ^ Mike Shields (8 June 2015). "European Broadcaster RTL Starts Formalizing Web Video Plans". The Wall Street Journal. Retrieved 21 May 2016. ^ Thomas Lückerath (26 March 2014). "Zukauf in den USA: RTL-Tochter FremantleMedia übernimmt 495 Productions". DWDL (in German). Retrieved 1 October 2015. ^ James Harding; Lutz Meier (7 April 2000). "Heute entsteht Europas größter TV-Konzern". Financial Times (in German). p. 1. ^ "Bertelsmann Takes Control of RTL Group". Los Angeles Times. 6 February 2001. Retrieved 21 May 2016. ^ George Trefgarne (6 February 2001). "Bertelsmann share swap lifts stake in RTL to 67pc". The Daily Telegraph. Retrieved 21 May 2016. ^ "Bertelsmann verkauft Teile von RTL". n-tv (in German). 29 April 2013. Retrieved 29 March 2016. ^ a b c d e f g h "Annual Report 2018" (PDF). Bertelsmann. 26 March 2019. Retrieved 28 March 2019. ^ Rüdiger Wischenbart (13 October 2015). "Das Goldene Zeitalter für Buchverlage beginnt". Die Welt (in German). p. 22. ^ "Fusion abgeschlossen: Bertelsmann und Pearson gründen Buchgiganten". Handelsblatt (in German). 1 July 2013. Retrieved 1 October 2015. ^ "Bertelsmann wird größter Verleger von Büchern in englischer Sprache". Süddeutsche Zeitung (in German). 24 March 1998. p. 23. ^ Wieland Freund (29 October 2012). "Jetzt machen es die Bücher wie die Autos". Die Welt (in German). Retrieved 1 October 2015. ^ "Fusion mit britischem Konkurrenten: Bertelsmann schmiedet weltgrößten Buchverlag". Spiegel Online (in German). 29 October 2012. Retrieved 1 October 2015. ^ "Global Publishing Leaders 2015: Penguin Random House". Publishers Weekly. Retrieved 1 October 2015. ^ "Offices". Penguin Random House. Retrieved 20 March 2016. ^ "Bertelsmann könnte Anteil an Penguin/Random House ausweiten". Westdeutsche Allgemeine Zeitung (in German). Funke Mediengruppe. 15 February 2016. Retrieved 29 March 2016. ^ "Zeitschriftenverlag: Bertelsmann übernimmt Gruner + Jahr vollständig". Frankfurter Allgemeine Zeitung (in German). 6 October 2014. Retrieved 1 October 2015. ^ "Gruner + Jahr streicht 400 Arbeitsplätze". Süddeutsche Zeitung (in German). 27 August 2014. Retrieved 21 May 2016. ^ "Finanzdaten" (in German). Gruner + Jahr. Retrieved 1 October 2015. ^ Johannes Ritter (7 April 2014). "Abschied von Amerika: Gruner + Jahr verkauft das Druckgeschäft". Frankfurter Allgemeine Zeitung (in German). Retrieved 1 October 2015. ^ Georg Altrogge (31 March 2015). "Trotz Minusbilanz: Warum Bertelsmann-Chef Rabe Gruner + Jahr auf Kurs sieht". Meedia (in German). Retrieved 1 October 2015. ^ "Gruner + Jahr: Das lechzt". Der Spiegel (in German). 26 May 1969. Retrieved 1 October 2015. ^ "Das Nokia unter den Verlagen". Kress Report (in German). 17 October 2014. p. 6. ^ Caspar Busse (7 October 2014). "Verlegte Geschäfte". Süddeutsche Zeitung (in German). p. 31. ^ Natalia Drozdiak; Archibald Preuschat (6 October 2014). "Bertelsmann to Take Full Control of Stern Publisher Gruner + Jahr". The Wall Street Journal. Retrieved 21 May 2016. ^ "Bertelsmann geht auf Einkaufstour". Neue Westfälische (in German). 24 July 2009. ^ "Bertelsmann gibt das Musikgeschäft auf". Der Tagesspiegel (in German). 6 August 2008. p. 15. ^ "Wachsen mit der Musik". Neue Westfälische (in German). 31 August 2009. ^ "Bertelsmann kauft Musikrechteverlag BMG ganz". Die Welt (in German). 1 March 2013. Retrieved 30 March 2016. ^ "Bertelsmann forms music duo with KKR". Financial Times. 7 July 2009. Retrieved 22 May 2016. ^ Christopher Morris (1 March 2013). "Bertelsmann Takes Full Ownership of BMG". Variety. Retrieved 22 May 2016. ^ Georg Szalai; Scott Roxborough (1 March 2013). "Bertelsmann to Acquire Full Control of BMG". The Hollywood Reporter. Retrieved 22 May 2016. ^ Stefan Schelp (23 March 2016). "Da steckt Geld drin". Neue Westfälische (in German). p. 27. ^ "Bertelsmann Industrie heißt künftig Arvato". Süddeutsche Zeitung (in German). 9 June 1999. p. 28. ^ "Bertelsmann Drucksparte setzt verstärkt auf Dienstleistungen". Die Welt (in German). 9 June 1999. p. 24. ^ "Arvato auf Wachstumskurs". Handelsblatt (in German). 9 June 1999. p. 19. ^ Michael Delker (1 July 2010). "Der größte Arbeitgeber in Ostwestfalen-Lippe". Westfalen-Blatt (in German). ^ "About Arvato: History". Arvato. Archived from the original on 15 December 2015. Retrieved 1 October 2015. ^ "Arvatos neuer Buch-Rekord". Westfalen-Blatt (in German). 22 December 2011. ^ "Zuwachs in verschiedenen Sparten". Neue Westfälische (in German). 23 March 2016. p. 13. ^ "Arvato expandiert nach Bielefeld". Neue Westfälische (in German). 14 November 2013. ^ Stefan Schelp (24 October 2015). "Neuer Chef verordnet Arvato mehr Wachstum". Neue Westfälische (in German). p. 10. ^ "Bertelsmann bündelt Druckgeschäft". Südwest Presse (in German). 6 November 2015. p. 10. ^ Stephen Chapman (6 November 2015). "Bertelsmann merges entire print operation". Prolific North. Retrieved 22 May 2016. ^ Eike Horstmann (6 November 2015). "Europas größte Druckereigruppe". Neue Westfälische (in German). p. 11. ^ "Druck-Gigant entsteht in Gütersloh". Neue Westfälische (in German). 6 November 2015. p. 9. ^ "Bertelsmann baut neue Print-Einheit auf". Der Standard (in German). 5 November 2015. Retrieved 5 January 2016. ^ "Bertelsmann tauft Drucksparte Be Printers". Neue Westfälische (in German). 1 November 2012. ^ Gerd Bergmann (27 March 2013). "Umsatz bei Be Printers stagniert" (in German). Deutscher Drucker. Archived from the original on 27 April 2015. Retrieved 1 October 2015. ^ "Bertelsmann to Launch Education Activities Unit". The Wall Street Journal. 10 September 2015. Retrieved 22 May 2016. ^ "Bertelsmann bündelt Bildungsgeschäft in eigener Sparte". Focus Online (in German). 10 September 2015. Retrieved 29 March 2016. ^ "Bertelsmann: Bildungsgeschäft jetzt unter einem Dach". Handelsblatt (in German). 10 September 2015. Retrieved 29 March 2016. ^ Kristen Schweizer (21 October 2014). "Bertelsmann Pushes Into Education With Relias Purchase". Bloomberg. Retrieved 22 May 2016. ^ Jason deBruyn (23 October 2014). "Cary's Relias Learning acquired by Bertelsmann for $540M". Triangle Business Journal. ^ "Bertelsmann Digital Media Investments". Gründerszene (in German). Retrieved 20 March 2016. ^ Niklas Wirminghaus (21 November 2014). "Bertelsmann-Fonds BDMI schließt Berliner Büro". Gründerszene (in German). Retrieved 20 March 2016. ^ Winnie Liu (13 October 2014). "Bertelsmann Asia launches angel fund in China". Asian Venture Capital Journal. Retrieved 22 May 2016. ^ Biswarup Gooptu (26 April 2016). "Roposo bags $5 million from Bertelsmann India Investments". The Economic Times. Retrieved 22 May 2016. ^ "Bertelsmann Investments". Bertelsmann. Retrieved 22 May 2016. ^ Antje Kullrich (23 March 2016). "Gewinnsprung bei Bertelsmann". Börsen-Zeitung (in German). p. 8. ^ Martin Krause (22 August 2012). "Bertelsmann sucht Strategie". Neue Westfälische (in German). ^ "Neue Rechtsform von Bertelsmann jetzt amtlich". Börsen-Zeitung (in German). 22 August 2012. p. 11. ^ "Bertelsmann lockt neue Investoren". Kölner Stadt-Anzeiger (in German). 29 March 2012. ^ Stephan Rechlin (30 March 2012). "Liz Mohn lässt Fremdkapital zu". Westfalen-Blatt. ^ "Zeitenwende bei Medienriese Bertelsmann". Sächsische Zeitung (in German). 29 March 2012. p. 24. ^ Ileana Grabitz (29 March 2012). "Bertelsmann liebäugelt mit der Börse". Die Welt (in German). p. 12. ^ "Bertelsmann öffnet sich für Börsengang". Frankfurter Rundschau (in German). 22 August 2012. p. 37. ^ Oliver Horst (4 September 2012). "Bertelsmann bleibt Börse fern". Westfalen-Blatt (in German). ^ Caspar Busse (1 February 2013). "Bertelsmann sagt Börsengang ab". Süddeutsche Zeitung (in German). p. 21. ^ "Bertelsmann to Market Hybrid Bonds as Europe QE Spurs Demand". Bloomberg. 8 April 2015. Retrieved 22 May 2016. ^ "Anleihen vierfach überzeichnet: Bertelsmann holt sich bei Investoren Geld". n-tv (in German). 16 April 2015. Retrieved 1 October 2015. ^ "Capital Market Orientation". Investor Relations. Bertelsmann. Retrieved 22 May 2016. ^ Bernhard Hertlein (22 August 2012). "Bereit zu großen Übernahmen". Westfalen-Blatt (in German). ^ Ralph Gerstenberg (23 August 2010). "Nur im eigenen Interesse". Deutschlandfunk (in German). Retrieved 1 October 2015. ^ "Bertelsmann-Gruppe: Rezension bei Printmedien und Fernsehbeteiligungen". Handelsblatt (in German). 24 September 1993. p. 23. ^ "Von der Welt lernen: Warum Reinhard Mohn die Bertelsmann Stiftung gründete" (in German). Bertelsmann Stiftung. Retrieved 24 November 2015. ^ Thomas Schuler (9 August 2010). "Die Methode Bertelsmann: Eine Stiftung regiert das Land". Die Tageszeitung (in German). Retrieved 1 October 2015. ^ "Bertelsmann bewahrt Tradition". n-tv (in German). 5 October 2009. Retrieved 24 November 2015. ^ "Shareholder Structure". Bertelsmann. Retrieved 1 October 2015. ^ "Spitzenwechsel: Thomas Rabe neuer Bertelsmann-Chef". Hamburger Abendblatt (in German). 11 October 2011. Retrieved 1 October 2015. ^ "Man kann alles verkaufen". Der Spiegel (in German). 13 February 2012. Retrieved 22 May 2016. ^ "Management". Bertelsmann. Retrieved 20 July 2017. ^ Hans-Peter Siebenhaar (5 December 2011). "Der neue Machtzirkel". Handelsblatt (in German). p. 54. ^ Bernhard Hertlein (6 December 2011). "Bertelsmann wird weiblicher". Westfalen-Blatt (in German). ^ Hans-Peter Siebenhaar (5 December 2011). "Neuordnung: Bertelsmann-Vorstand wird feminisiert". Handelsblatt (in German). Retrieved 1 October 2015. ^ "Christoph Mohn übernimmt Aufsichtsratsvorsitz bei Bertelsmann". Westdeutsche Allgemeine Zeitung (in German). Funke Mediengruppe. 2 January 2013. Retrieved 1 October 2015. ^ "Supervisory Board". Bertelsmann. Retrieved 1 October 2015. ^ Ottomar Gottschalk (1994). Verwaltungsbauten: flexibel, kommunikativ, nutzerorientiert (in German) (4th ed.). Berlin, Wiesbaden: Bauverlag. p. 220. ISBN 3-7625-3085-8. ^ "Büffeln fürs Business". Brand Eins (in German). 2000. Retrieved 1 October 2015. ^ "Bertelsmann Inc.: Büroturm am Times Square preisgünstig erworben". Handelsblatt (in German). 5 March 1992. p. 25. ^ Charles Bagli (25 June 2004). "Bertelsmann Building Sold". The New York Times. Retrieved 17 November 2015. ^ Rainer Haubrich (6 November 2003). "Berlins erste Rekonstruktion seit der Wende: Heute weiht Bertelsmann das Kommandantenhaus ein". Die Welt (in German). p. 27. ^ "Bertelsmann expandiert nach Südamerika". Börsenblatt (in German). 28 June 2012. Retrieved 1 October 2015. ^ "Locations". Bertelsmann. Retrieved 22 May 2016. ^ Stefan Schelp (25 June 2014). "Weltweit unterwegs, in Europa verwurzelt". Neue Westfälische (in German). p. 5. ^ "Bertelsmann plant Wachstum in Schwellenländern". Neue Westfälische (in German). 13 February 2015. p. 6. ^ "Bertelsmann forciert Bildungsgeschäft, investiert in Brasilien". Der Standard (in German). 16 July 2015. Archived from the original on 2 October 2015. Retrieved 1 October 2015. ^ "Brain und Business: Bertelsmann forciert Bildungsgeschäft in Brasilien". Buchreport (in German). 20 July 2015. Retrieved 1 October 2015. ^ "Bertelsmann will in China wachsen". Westfalen-Blatt (in German). 27 October 2012. ^ Petra Schwengler (16 January 2014). "Bertelsmann verdient gut in China". Werben & Verkaufen (in German). Archived from the original on 29 April 2016. Retrieved 1 October 2015. ^ "Bertelsmann setzt in Indien auf E-Commerce". Börsen-Zeitung (in German). 28 May 2014. p. 11. ^ Markus Trantow (28 July 2015). "Bertelsmann investiert in E-Commerce in Indien". turi2 (in German). Retrieved 1 October 2015. ^ Andreas Puff-Trojan (14 October 2002). "Papier ist geduldig". profil (in German). p. 164. ^ Stefan Brams (10 June 2008). "Ein Adler für die Bertelsfrau". Neue Westfälische (in German). ^ Gerhard Hegmann (8 October 2002). "Bertelsmann gesteht Fehler in NS-Zeit ein". Financial Times (in German). p. 5. ^ "Ganz geringe Beträge". Stuttgarter Zeitung (in German). 24 January 2000. p. 13. ^ Siegfried Lokatis (8 March 1999). "Feldpost von Bertelsmann". Neue Zürcher Zeitung (in German). p. 27. ^ Wieland Freund (8 October 2002). "Bertelsmann im Dritten Reich: Der Abschlussbericht der Kommission". Die Welt (in German). Retrieved 2 May 2016. ^ Nicole Adolph (8 October 2002). "Widerstandslegende enttarnt". Der Tagesspiegel (in German). p. 27. ^ Dirk Fuhrig (18 January 2000). "Legende vom Widerstandsverlag". Frankfurter Rundschau (in German). p. 13. ^ Volker Ullrich (10 October 2002). "Ein Musterbetrieb". Die Zeit (in German). Retrieved 1 June 2015. ^ Stefan Brams (31 May 2003). "Bertelsmanns Gedächtnis". Neue Westfälische (in German). ^ Landler, Mark (8 October 2002). "Bertelsmann Offers Regret For Its Nazi-Era Conduct". The New York Times. Retrieved 26 September 2017. "Freundlicher Moloch". Der Spiegel (in German) (11). 1970. Retrieved 1 October 2015. Siegfried Lokatis (8 March 1999). "Feldpost von Bertelsmann: Die Editionspraxis des Gütersloher Verlags im Dritten Reich". Neue Zürcher Zeitung (in German). Retrieved 1 October 2015. Norbert Frei; Saul Friedländer; Trutz Rendtorff; Reinhard Wittmann (2002). Bertelsmann im Dritten Reich (in German). Munich: Bertelsmann. ISBN 3-570-00713-8. Frank Böckelmann; Hersch Fischler (2004). Bertelsmann: Hinter der Fassade des Medienimperiums (in German). Frankfurt am Main: Eichborn. ISBN 3-8218-5551-7. Thomas Lehning (2004). Das Medienhaus: Geschichte und Gegenwart des Bertelsmann-Konzerns (in German). Paderborn, Munich: Fink. ISBN 3-7705-4035-2. Mary H. Munroe (2004). "Bertelsmann Timeline". The Academic Publishing Industry: A Story of Merger and Acquisition. Retrieved 22 May 2016 – via Northern Illinois University. Thomas Schuler (2004). Die Mohns: Vom Provinzbuchhändler zum Weltkonzern (in German). Frankfurt am Main: Campus. ISBN 3-593-37307-6. Thomas Barth; Oliver Schöller (2005). "Der Lockruf der Stifter: Bertelsmann und die Privatisierung der Bildungspolitik". Blätter für deutsche und internationale Politik (in German) (11): 1339–1348. ISSN 0006-4416. Retrieved 22 May 2016. Thomas Barth, ed. (2006). Bertelsmann: Ein Medienimperium macht Politik (in German). Hamburg: Anders. ISBN 3-939594-01-6. Werner Biermann; Arno Klönne (2007). Agenda Bertelsmann: Ein Konzern stiftet Politik (in German). Cologne: PapyRossa. ISBN 978-3-89438-372-5. Jan Philip Holtman (2008). Pfadabhängigkeit strategischer Entscheidungen: Eine Fallstudie am Beispiel des Bertelsmann-Buchclubs Deutschland (in German). Cologne: Kölner Wiss. ISBN 3-937404-57-0. Retrieved 1 October 2015. 175 Years of Bertelsmann: The Legacy for Our Future. Munich: C. Bertelsmann. 2010. ISBN 978-3-570-10175-9. Wikimedia Commons has media related to Bertelsmann.